FOR MCCANN'S MANOR: PORTAL: Soul sisters Liz and Kim have no idea what they are letting themselves in for when they accept the challenge to live in McCann's Manor for a year and during that time heal the profound psychic wounds that have made life impossible for any living being who tries to inhabit it and sheer torture for the spirits trapped there. The two young women have dealt with ghosts and so forth all their lives; that bond has cemented their friendship into something as profound as a family tie, or better, but they have never faced anything like this. 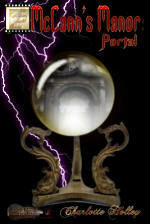 Tortured souls, ancient grudges, reincarnation, and evil from the Pit itself lie in wait for them. If they are not careful, Liz and Kim might not be rewarded for their efforts but condemned to something that makes death look tame. Yet, if they can vanquish the source of the disturbances, they will not only be rich, but perhaps find love. I am amazed at how well you sustain a story over so many pages and still hold my interest. It's got everything a well-appointed gothic suspense novel should have but it isn't a bit trite. This story written by Charlotte Holley was absolutely fantastic. From the very first paragraph I was hooked. I couldn’t turn the pages fast enough to continue on Liz and Kim’s paranormal journey through McCann’s estate. Ms. Holley told quite an impressive story within these pages. The storyline was intriguing from the very beginning and I loved the twists and turns the author created for her readers. 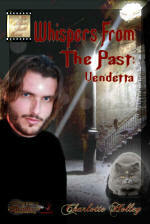 I loved this book because it had the perfect elements of mystery, romance and paranormal activity all rolled into one. I loved how the characters were portrayed and their interaction with one another was extremely believable. I was transported into the McCann’s estate seeing the story through my eyes as if I was another character who was trying to make sense out of all the paranormal occurrences. I honestly loved this story and thoroughly enjoyed the ride Ms. Holley took me on. Without a doubt, not only will I read more stories by her, but also I will highly recommend this story to all readers. This story is a perfect Halloween read, but rest assured, you will love it anytime of year! If you are one of the fans of old mansions that are haunted, you will love this tale of mysterious disappearances, an old house's history, romance, murder and all the other genres that blend to tell a great tale as crafted by talented author Charlotte Holley. Join Kim and Liz as they undertake to heal the house with several surprises in store for them and you, dear reader. Liz and Kim are approached by actor John Carter to take on the task of healing an old house as part of an estate he is a lawyer for. Seeing no reason against it, the two women agree and soon move into the house. It isn't long before things start to happen. A brooding atmosphere, secret passages, ghosts, hidden rooms, even a bit of time travel keep the ladies on their toes as they come to grips with the depth of the problems they face and the number of ghosts in residence in the house. They aren't so sure they can handle the task set to them. These aren't ordinary ghosts who say 'boo' and retreat, they are spirits with personal vendettas and unfinished business. You'll find them as interesting as the characters in their actions and interactions with people and each other. A fun read altogether and one you will not want to put down until the end. I'm pleased to highly recommend this as a tale that will have you feeling like one of the characters. You'll start to jump at unexpected noises and beware, not all hauntings take place in the dark. So if you live in a creaky old house, read with the lights on. Elizabeth Carr and Kimberly Henson have been best friends and roommates off and on ever since their days at the University of Texas in Austin. They shared a common interest in the supernatural and both have an abundance of extrasensory perception, a gift that gets them into as much trouble as it does adventure. John Carter is a film legend who enlists Liz and Kim to help heal a haunted house owned by another film star, Betty Tatum. The house, known as McCann’s Manor after its builder Benjamin McCann, will become the property of whoever manages to heal it. John convinces Liz and Kim to move into the house and to try and cleanse it of the evil spirits. The more time Liz and Kim spend in McCann’s Manor, they more they learn about the house and its inhabitants, both living and dead. They quickly realize that this is unlike anything they have ever encountered before and that all their skills and talents may not be enough to protect them. Will the old manor and its secrets prove to be too much for Liz and Kim? Best friends and former roommates, Elizabeth Carr and Kimberly Henson found themselves, later in life, again rooming together and dabbling in parapsychology as a profession. When they are offered the chance to own a beautiful two-hundred year old mansion and all its contents, if they can help the houses restless spirits, they are up to the challenge. But this house may prove to be more than even their incredible talents can handle. There is something evil afoot and more than the ownership of the manor may be at risk; they may be risking their lives staying there, is it worth it? 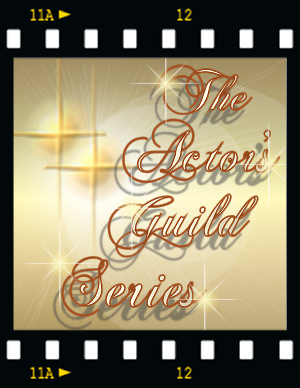 The Actor’s Guild—McCann’s Manor Portal is the first book of at least a three book series (there are three titles to date). I absolutely loved this story! It is filled with ghosts with tragic stories, scientific marvels, and an extremely puzzling mystery. Since both Liz and Kim are single, there are also some romantic interests thrown in to keep the story sizzling. Liz and Kim are a very talented team of psychics with many successful stories of helping spirits settle their issues so they can move on but this time, there are more than just restless spirits in this house. I also liked that Liz and Kim are older women who are in control of their lives, sharply intelligent, and not looking to retire but rather to find new interests and expand their lives! This story is so well done, I can’t wait to get a copy of the sequel and see what happens next. I have never read any work by Charlotte Holley prior to this book, but I will certainly be looking for more of her work; she is an excellent story teller! If you love ghost stories, stories about psychics, paranormal mysteries, or even a suspenseful romance, you will love this book! his past self are forced to leave Liz in this world while he/they try to save another. While they are gone, the two "sisters" of the heart will find themselves struggling to outwit and survive a madman's twisted plot and facing an ordeal that is far too human and painful. * * * It's hard to believe that so much can be in one book alone. Almost every genre is incorporated into this spectacular tale; fantasy, romance, mystery, urban fantasy, and even a touch of horror. I absolutely love the way Ms. Holley portrays ghosts. Ever since discovering The Ghost and Mrs. Muir, I've been hooked on "human ghost"
Best friends and parapsychologists Kim Henson and Liz Carr live in the McCann's manor house, a property that had been given to them as a payment for ridding it of ghosts. But ghosts isn't the only distinction the eclectic property has, it is also the site of a portal into another realm. When a murder occurs at a local bakery, the two friends are unable to keep themselves from investigating and are drawn into the world of a serial killer. Worse, they believe the killer is someone they know who has a penchant for women that fit Liz's description. Making matters worse, John, Liz's new boyfriend who shares a soul with Ben, Liz's former love in another life, is forced to work with Ben in order to protect the Liz and Kim from unsavory beings passing through the portal into their home. The pair must pass into the other realm and work in a world full of dragons and wizards and all kinds of creatures good and bad. And they are all relying on John, a man who is convinced he is nothing more than a decent actor. And so two distinct story lines run through the book, Ben and John and a variety of others working against all odds to save another realm from destruction and Liz's and Kim's battle with a serial killer. The Bakery Murders is one of the books in The Actor's Guild Series by Charlotte Holley and can easily stand-alone. It's a very long book, in excess of 150,000 words (that's about 600 pages in the print world) and I'm happy to say it held my interest throughout. I suspect, however, based on your genre preference, readers will tend to like one story line more than the other since they are very different. The Liz/serial killer portion of the book has a contemporary mystery thriller/suspense feel while the John portion in the other realm feels like an adventure/fantasy novel. Both are good, but switching between the two feels like you've put down one novel and picked up another. I was impressed by Ms. Holley's meticulous plotting and felt the book was very well done. There was a lot to keep track of and given it's part of a series that only makes keeping everything straight even more difficult. My only critique of the writing is that the characters all spoke in a similar voice. Everyone spoke in clear, well-constructed sentences. But if you are looking for a well-written story that combines genres and will pull you in and keep you there for a while, then this one is for you. The Bakery Murders: Challenge is the second book of the Actor’s Guild series and picks up just a short time after the events of the first book in the series, McCann’s Manor: Portal. Liz Carr and Kim Henson agree to look into why there is a ghost haunting the local bakery but before they even get started the owner’s boyfriend is brutally murdered and the baker charged with the murder. But Liz and Kim think there is more going on and do not believe their friend is guilty. Something evil is again threatening Liz and Kim and once again they will have to use their wits and unique abilities to stay a step ahead of the murderer and remain alive themselves. It takes a really sick and twisted mind to develop the evil diabolical monsters and plots running through this series -- I enjoyed every page!! In this second book, the reader is exposed to the secondary plot running behind each of the stories in the series. There is real evil at foot and the bad guy is escalating his schemes along with the attacks against Kim and Liz. While Liz and Kim are battling in the present, the men are off on their own mission through the portal to save the earth and discover their connection to the past and the mystery surrounding the portal contained in McCann’s Manor. It is like reading two completely different books at one time but the connections are obvious and the ending of this story leaves no doubt that there will be a third adventure where the main story lines will come together in a good versus evil battle for the world and their souls! I can’t wait for the third story. Advanced Praise FOR THE BAKERY MURDERS: Sure to be as fine as the first one! These are not half-baked mysteries.